Volunteering is a good thing. 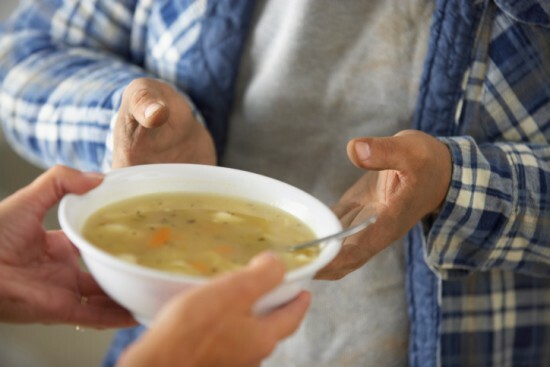 Studies indicate emotional and physical benefits from regular volunteer work, especially for seniors who might otherwise be less connected. But what if I’m not a senior citizen and can manage to keep plenty busy with a house, a husband, the kids and writing? Is it ever okay to stop volunteering? I don’t mean stop altogether. But maybe stop doing something you’ve been doing for a while, take a break, regroup, or even find something entirely different to do. I feel guilty even asking the question. It seems easier to regulate volunteering for committees since they often have natural endpoints. And that’s good because if I serve for too long on any one committee–get too close to an organization’s inner-workings–I begin to get annoyed by the individual hang-ups and exasperating personality traits of others. I’m sure the same could be said of me–and in probably shorter order, as I’ve already written a bit about my cranky demeanor. But natural endpoints to committee memberships mean I rarely need to be concerned about the possibility of making bail. I’m wondering more about volunteer activities without natural endpoints, and question if it’s ever okay to stop. I’m in awe of stalwart volunteers at soup kitchens and in Sunday school classrooms, those who cheerfully serve in the same capacity for decades. What’s wrong with me? Why do I sometimes feel drained rather than fulfilled by these activities? Plus, hanging with the sick, the poor, the downtrodden and the elderly can be downright depressing. A real buzz-kill in today’s YOLO culture where it’s more appealing to focus only on our own needs. Therein lies the answer I guess. Being told by experts that volunteer work will make us feel more fulfilled, makes it, like everything else, about us. And that misses the point. I’m reminded that offering to serve is just that, a service. It’s about the “other” and making the lives of others a bit more tolerable, enriched or blessed. And those stalwarts, well they’ve probably experienced hard days or felt drained or wanted to throw their hands up, switch to hermit mode and just binge watch old episodes of Big Bang Theory. I confess my self-centeredness and hope for a renewed focus on the purpose of volunteering that will refresh and inspire me. But if I (or you) decide to shift gears or take a break from any particular volunteer effort, let’s agree to not stew in the juices of guilt, but instead commit to pressing on toward a more “other” focused mindset, seeking daily to bless others and to hopefully be blessed in the process. 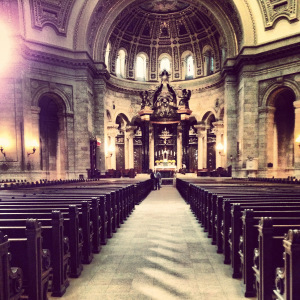 Churches will soon swell with Christmas Eve crowds eager to hear an inspiring message of hope. It’s a time when regular church attenders will find themselves nestled into pews next to folks they don’t recognize. Shoulder to shoulder with people known as “C” & “E” Christians. Maybe Christmas and Easter Christians are too busy, too tired, too wounded or too cynical to attend church regularly. But the high holidays still pack enough spiritual punch to draw folks into the presence of the divine on at least two occasions. “Spring” has sprung on the tundra. So far, it’s better than last year, with snow mostly melted and a 70 degree day in the bag. Today it’s 40 so we’re not out of the weather woods yet. But after enduring a brutally bitter, hunched to the north wind, teeth chattering, Cuddle Dud layering winter, I scoff at 40 degrees, a toughened Midwesterner proud of my winter survival both physically and mentally. But I barely qualify as Midwestern tough and only by 2014 standards with hot showers, a gas fireplace, a closet full of fleece and an attached garage. I’m a city girl who shops and doesn’t farm. I’ve never known life without access to indoor plumbing, take-out or television. Had I been forced to live on the plains 100 years ago–hell, even 50 years ago–I never would have made it. I marvel at the rugged endurance, courage and resilience of bygone Midwesterners and am thus drawn to reading Midwestern literature. So as the weather slooooowly warms, here are a few summer reading suggestions for anyone who thinks they’ve got it hard in flyover country. These books are beloved to me, cherished for great storytelling, compelling characters and depictions of Midwest culture, endurance and community at its finest. Loaned to me by a friend one summer, it’s been a while since I’ve read this one. But I often recommend it–the story of an Iowa girl who hastily marries and travels west with her new husband to carve out a life on the plains. I had no idea people actually lived in sod houses, or how one would build a sod house. Simple supplies like sugar, coffee and company are coveted luxuries, let alone healthcare or police in case of emergencies. Daily heroism is layered with Mattie’s loneliness and her suspicion that perhaps her new husband doesn’t love her. 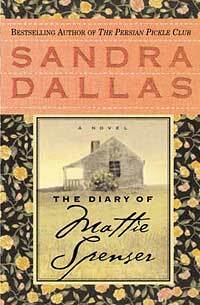 I never got around to reading more of Sandra Dallas’s work. But I wouldn’t rule it out since I enjoyed this book so much. 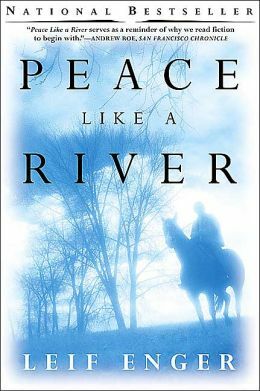 A more contemporary story of life in the upper Midwest, this is an unhurried tale of a faith-filled man and the distance he travels to save his teenaged son accused of murder. Around the edges and deep in the heart of this adventure is an honest inquiry into the possibility of miracles. Beautifully written from the perspective of the second son, Reuben, this story is unjaded by modern-day cynicism. Instead it exemplifies the strength of family bonds, unconditional love, and that Midwestern confidence that justice can and will be done. Probably one of my favorite books of all time, this collection of vignettes is strung together to create a Wisconsin community so familiar, you’ll swear you know or have known someone similar to every character in the book. Small town life is illuminated through dashes of eccentricity, suspicions of strangers, peculiar prejudices, devotion to routine, and an unwavering commitment to lending a helping hand. There are also scenes involving a car chase, a panther and a casino, which add just the right dash of flavor to this simmering stew of literary genius. Oh, and I sobbed at one point in the story while reading and relaxing in a lakeside Adirondack chair. So be prepared to giggle, sniffle and be immersed in the close-to-home reality of this wonderful novel. 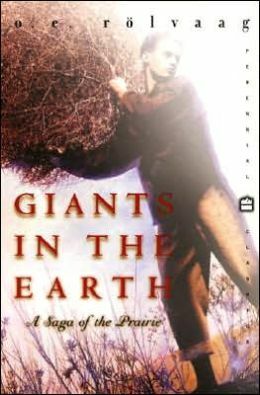 When you read those words, you know you’re about to embark on something big–the tale of Norwegian immigrants traveling west to South Dakota–fisherman turned farmers and all that that entails when pioneers don’t speak the language and are confronted with trials ranging from devastating weather events to fields ravaged by insects. And loneliness becomes fertile soil for the evils of depression, which can take root and threaten the sanity of the heartiest among them. I became so engrossed in this book, I found myself whispering prayers for its fictional characters. It’s truly an epic, a journey worth taking, but only from the comfort of my 21st century life. If you have reading list picks to add to this list, please mention them in the comments. We all need more to read while we wait for warmer weather on the plains.